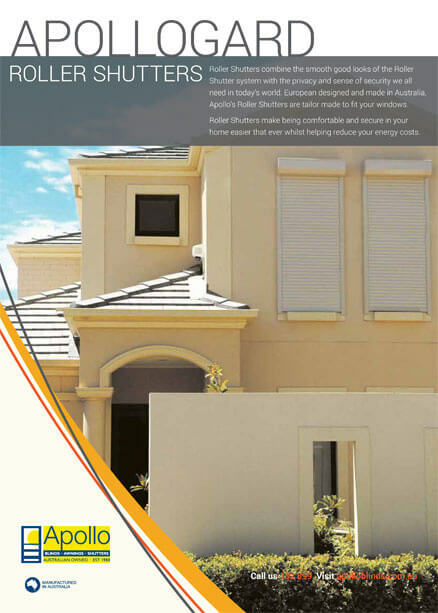 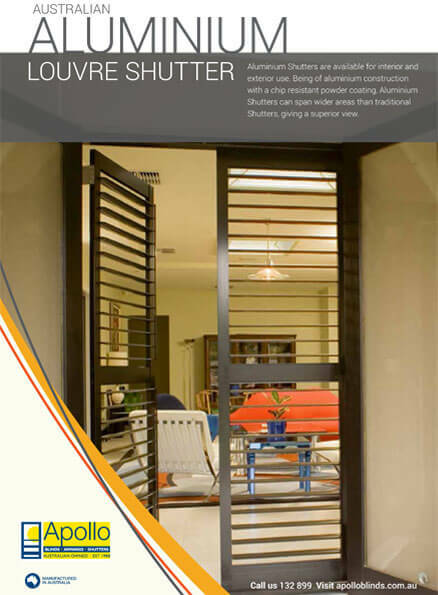 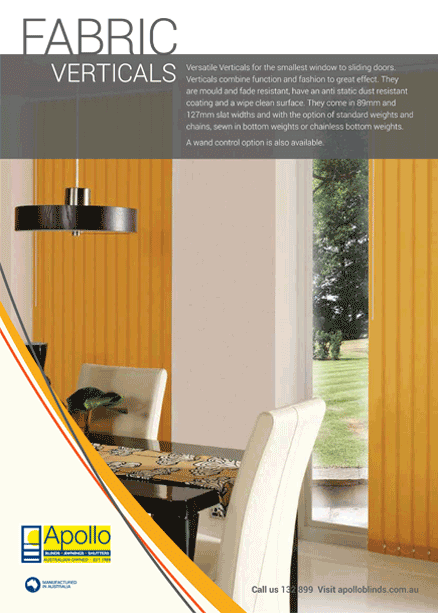 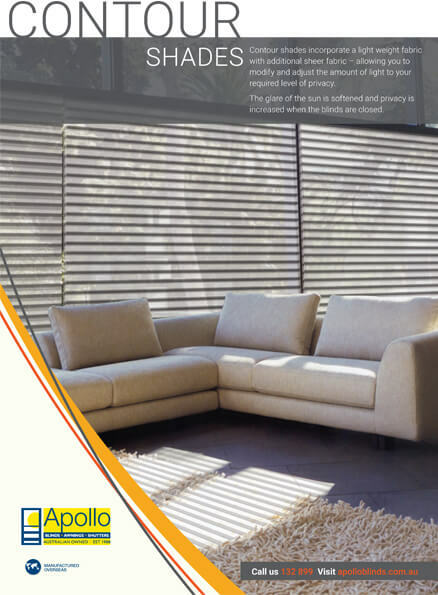 With our brochures, learn more information about wide range of products as Blinds, Shutters, and AwningsEnhance your lifestyle by adding a touch of elegance, style and comfort to your home with new blinds, awnings and shutters.Let Apollo Blinds open your mind to new decorator ideas. 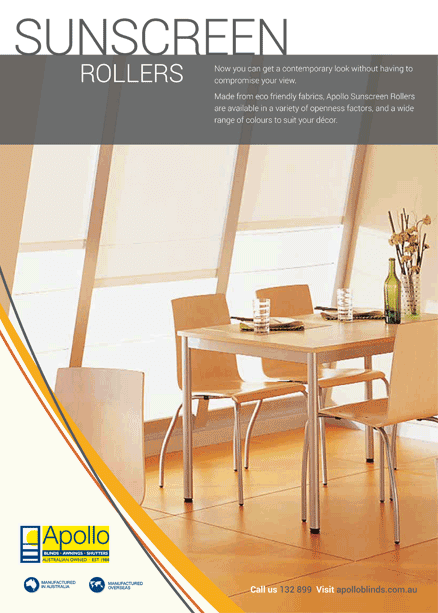 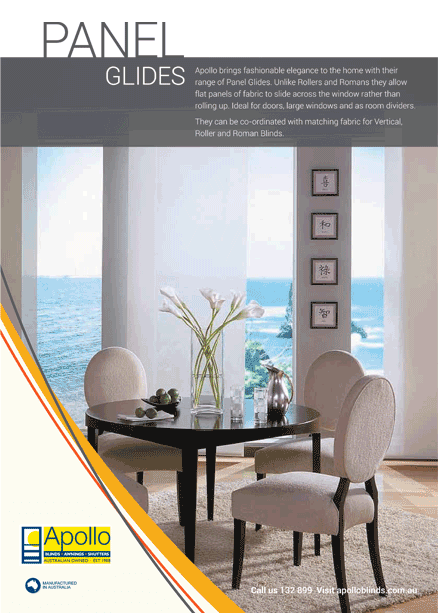 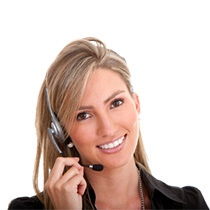 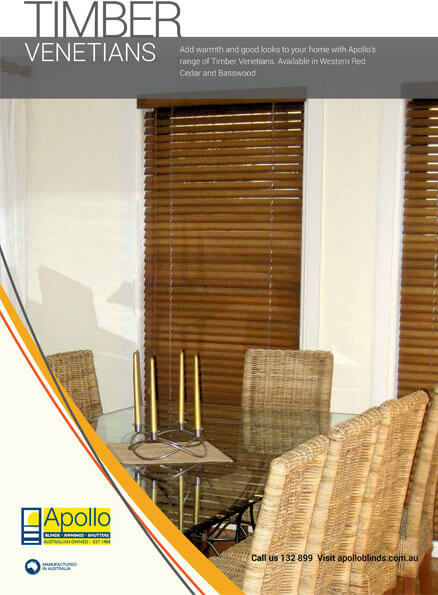 Since 1988 Apollo Blinds has focused on delivering the latest in home fashions with consistent reliable service. 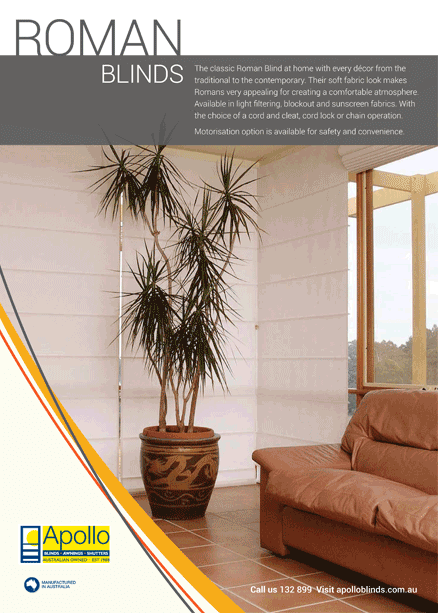 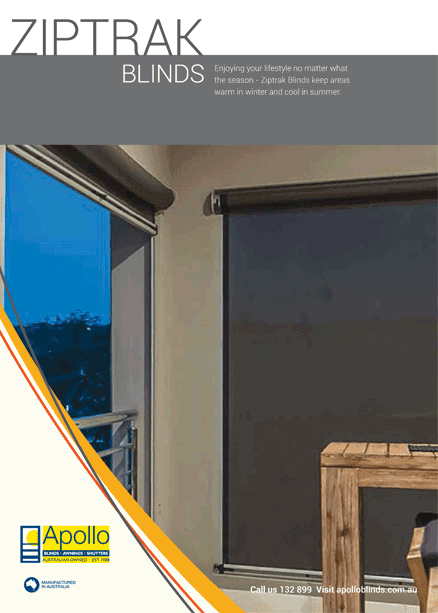 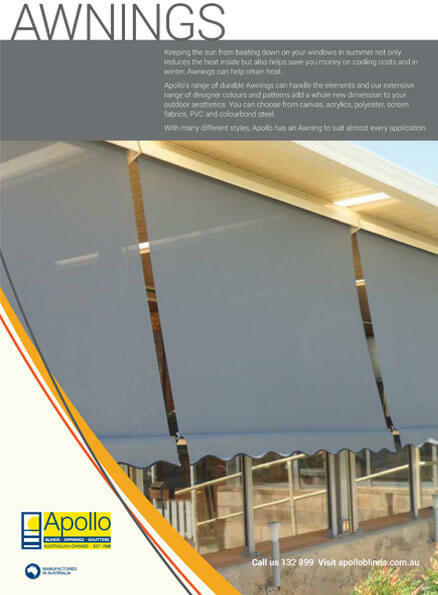 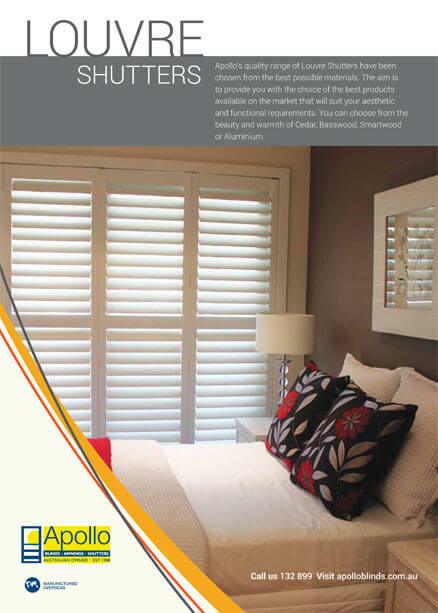 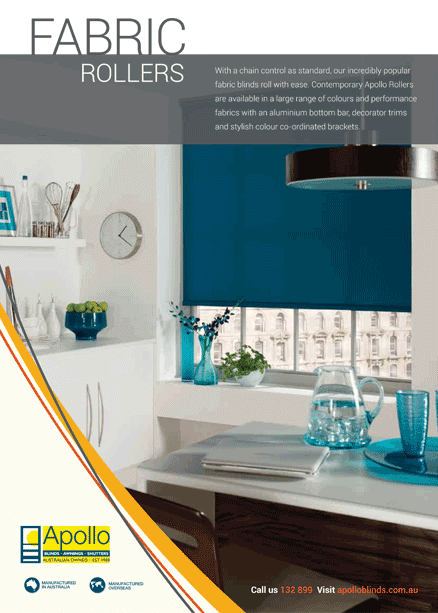 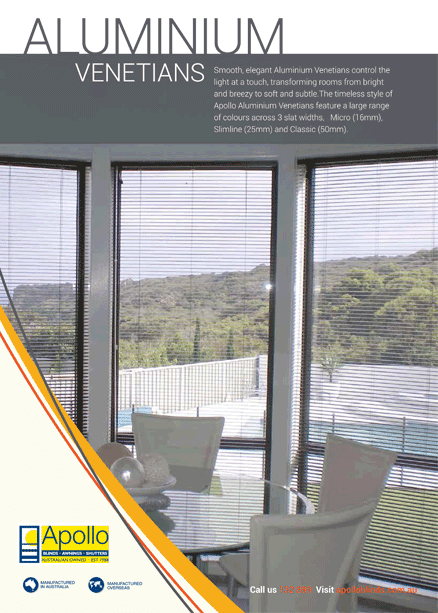 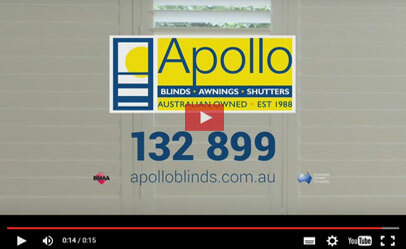 An Australian owned company with many products still being made in Australia, Apollo Blinds gives you peace of mind with their 2 year warranty (1 year in home) plus some products carry an additional manufacturer’s warranty.